Exclusivity seemed to be the golden ticket for Orkut, at least while it lasted. When Orkut arrived on the scene I had just finally decided to try MySpace and even when Facebook was in full swing I was still convinced I would never “need” Facebook. It comes as no surprise to me that when I finally heard about Orkut it was four years after the company no longer existed. Yup, I am that person. Orkut had a good run. Orkut was intended to bring users together allowing them to locate communities of personal or professional interest. Orkut was most popular among students and those in the tech industry. Users were able to connect with others in their field but also with experts. It would be like being a student of the performing arts and connecting with Broadway and movie stars – it was a pretty big deal. Orkut was successful early on, in part because Orkut was run by Google and well, Google has a reputation for being awesome. There is a thing called diffusion of innovation and it is essentially the process of examining why people adopt (or ignore/hate/reject) products that have been recently introduced to the market. It helps people in business, marketing and development to understand why some products stick and others do not. Once accepted as one of the “chosen ones” users could rate products and services (for the benefit of other users) and even rate each other- you think someone is attractive – rate ‘em… I am just going to leave that alone. Moving on. Exclusivity was not the only attraction, though.The site was also clean, sophisticated and intuitive for the end user. In Brazil where e commerce was booming and social media and was the preferred connection portal Orkut’s design was a major hit. Orkut gained major traction in this region of the world. It seems that Orkut may have missed out on the opportunity to tap into other markets the way they had Brazil. Orkut had a sleek design and a target market but they seemed to lack a plan to ensure longevity. The communities that adopted the platform did well but Orkut wasn’t able to grow beyond that. Orkut lacked a plan on what the goal of the company was and how to execute. They had early adopters in large numbers but there is no indication that the numbers were interrupted in to useful information. In the Orkal was a pretty platform for pretty people but it lacked substance and staying power. If you read my first blog “We, as humans, want to be first and we want to win” then you know that I generally believe that most people want to win and/or be first and for no particular reason. That blog specifically spoke to driving, but as my husband has observed (and, as far as I am concerned, correctly to date) people walk like they drive. Do you know what I am talking about? It occurs when I park and exit my car [in a parking lot] about the same time as another patron and they start to speed-up. There are fast walkers but you can tell this is forced. They enter the store before you and slow down or have to come to a stop because they left a spouse or elderly parent lagging behind in the parking lot or they are winded and the charade is over. There was absolutely no need for their action other than to be in front of you. Or, perhaps you see the person that takes a wide turn onto into a parking lot, not really observing others around them and you later barely avoid a grocery cart ankle injury because that same “reckless Rhonda” is channeling her aloof tendencies through a metal cage on wheels. I digress, the point that I am getting to is that there are people who want to be first just for the sake of it are the same people living a double life as sheep. Sheep – you know what they do right? They follow the herd. No questions asked – they go along with whatever because that must be the “right thing”- everyone is doing it. Warning – another traffic metaphor – pay attention the next time you come to a traffic light with two straight or two turning lanes almost always there is a line of cars five [cars] deeper than the other – and for no reason – they are going to the same place. They get in the longer lane because there must be a reason everyone else is doing it. Sheep. Sheep are everywhere and I find that in October, during Breast Cancer Awareness month, there is an abundance of them and as a human and a woman I find it embarrassing. If you follow social media you have probably seen a variation of the following messages, sent privately on Facebook. “Put the number, followed by the word “inches,” and how long it takes to do your hair… Remember last year so many people took part it made national news and, the constant updating of status reminded everyone why we’re doing this and helped raise awareness!! Do NOT tell any males what the status’ mean, keep them guessing!! And please copy and paste (in a message) this to all your female friends to see if we can make a bigger fuss this year than last year!!! I did my part…now YOUR turn! Go on ladies…and let’s have all the men guessing! !” (Trussell, 2012). This message encourages woman to put an obscure message on the wall of their Facebook page. They are instructed not to tell anyone (e.g. men) what it means – just post and pass along the message to as many other females as possible. I am reasonably confident that most women participated, not because they like being herded, but because a) They probably know someone or know someone who knows someone who has been affected by [breast] cancer and wanted to feel like they were somehow helping b) secondary, but certainly an important factor, they felt part of the group. After seeing other women with this message on their Facebook profile they had been tapped for inclusion. Without a thought more women all over the globe obliged. “The best thing is not to try to write things that will go viral. The best thing is to write for just one person. Make an impact on just one person. Even better, make it so they can’t sleep at night unless they choose to make a difference for one other person. (For Daniel’s full blog check it out here). If we look at Godin’s feedback and apply it to the breast cancer movement on Facebook and assume that the first person to start this post just wanted to help we can envision that maybe they sat at their laptop and were desperate for action, desperate for a cure- for their wife, their mother, their sister or their self and this was the first step they took. It was the only thing they knew to do in that moment. When coming from that point-of-view it is easy to see how it started and why it continued. Hold on to that thought as I share another perspective. My sister’s birthday is March 6th, and on this day three years ago I hoped on Facebook to share a fun post reminding the world (or at least my followers/friends) that my younger sister was getting older. I scrolled through my feed and then I saw it, a post that stopped me in my tracks, caught my breath- no, it was not caught, my breath was taken – taken away – my body was erect and defensive. A classmate from high school, 33 years old, claimed this day, March 6th as her ‘D-Day’. Diagnosis day. She had been diagnosed with breast cancer. March 6th has always been, to me, a day of celebration, funny cards, silly phone messages, presents and cake. To her this was a day of uncertainty. Over the next two years I read every post she made, every pain, fear, anxiety and hope that she shared – I clung to it. She and I were not close, but we knew each other. I had passed her in the halls [at school] for years, and I remember how she and her sister stood outside their home to board our school bus. She was a new mom now and had hopes of growing her family. She was the first one I saw to challenge people to not post obscure messages on Facebook. Breast cancer was real for her. It was not a maybe, it was her life. She was not angry but she urged her friends to post something helpful – a reminder to self-check, to get second opinions, to be a self-advocate for health, to remind women and men to take charge of their health and remind their loved ones to do the same, to donate, join a walk – be a part of the movement in a real way. The silly posts hurt her heart, they seemed like more fun than action and it was not acceptable to her. She is a survivor and will forever encourage people in a valuable way. Sheep are not bad. By design sheep follow and some may argue that we need followers. I disagree. We do not need followers we need advocates and activists. If you think you have been a sheep – a blind follower – you do not have to be any more. Before you act, respond or repost think about what it means. 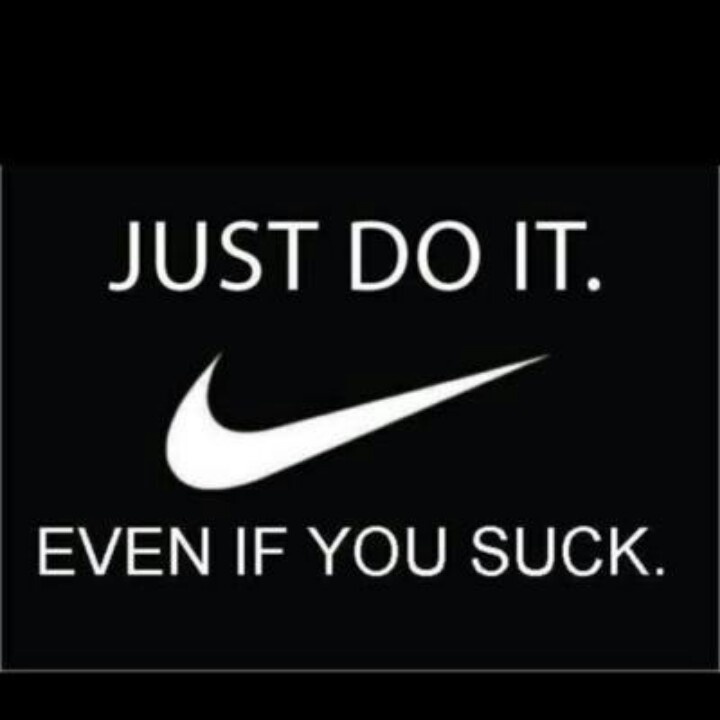 What is your motivation? Do you want to help? If so ask, are you helping? Do you want to educate? If yes, are you educating? Make your voice count. Trussell, D. (2012) Pinktober! Queue another stupid Facebook meme. Available at https://www.washingtonpost.com/blogs/she-the-people/wp/2012/10/02/pinktober-queue-another-stupid-facebook-meme/ (accessed June 8, 2016). If you can get passed the lurkers and those that only go to the gym for the free tanning we all have a gym membership for one reason – to work out. Everyone that has taken the plunge and signed-up has envisioned a better body – no, not a better one – a hot body. Wait, simmer in that image for a moment. Damn, in my mind I look hot! Like walking into a room in slow motion hot. Hot HOT HOT! When I envision a slimmer, hotter, cuter me I do not look at a mirror, I look at clothes. Lately I have been online looking at outfits that are out of my size range and comfort zone. I am sorry, did you say “what is a size range”? Well, there is an image many of us get in our head of how we would like to look (remember a moment ago when you simmered in that image?) and then there is the size range. The range is where you know realistically you will or could be in the future. So, I have been looking outside the realistic range. Pinterest has this “women’s fashion” category where the whole outfit is conveniently pieced together complete with earrings, bracelets and a color coordinated handbags. That is where I live. In women’s fashion la-la-land. I found myself telling my husband that I felt I was getting soft in the mid-section and things were not fitting quite right. I knew that if I just got back to the gym I would feel great and keep going but I could not seem to just do it. I had done so well and then life happened and days turned to weeks and weeks to a few months and my progress went right out the window. I do not want to start over and I sure as hell do not want to keep feeling like this. I started walking because, I told myself, I just needed to get back in a routine. Nope, I know what I was really doing. I do not want to go back to the gym all pudged out. I am worried about how I will look and how I will have to essentially start over. In my mind, deep down, I am telling myself if I can lose a few pounds I will feel better and I will go back. WTH!? You are laughing/snicker/chuckling – hopefully not crying – because you have also told yourself this. I have never looked at anyone in the gym and thought they should not be here (okay, maybe the really sweaty ones – the ones that have sweat pouring off them when they even look at a treadmill – maybe I have wished them away), but the others- fat, short, old, chubby, flabby, out of breath – I have never thought anything but “awesome – work it”. Most of the time though I am too worried about me to be thinking of everyone else. So why am I worried that others are going to be judging me? Isn’t it more likely they are too concerned with how they look to even notice or judge me? While I am worried about how I will look my money is wasting away- heating the showers, powering the tanning booths and keeping the lights on for those who dare not to care. 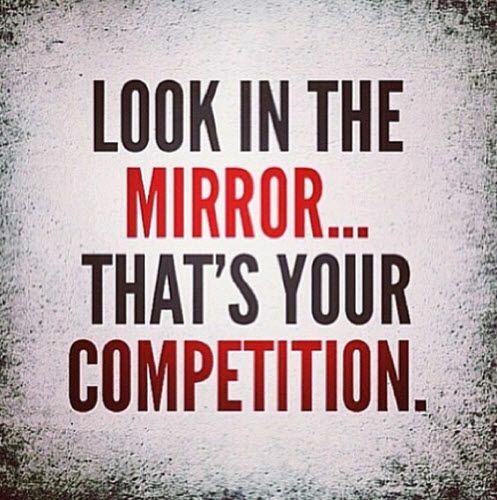 Truth is, those going to the gym care more about their health and future selves than they do about what others think. Then it hit me. Maybe it is time I do too. … and yes, there is a problem. Until recentl y I did not understand the statement, “I am just not that creative”, I did not get what was so difficult. With Pinterest you do not need to be creative – just follow the directions.Recently, though, I found myself in a creative dry spell. I started to think that maybe I was not creative anymore. My friend and I were hosting a ‘Christmas in July’ gathering for our friends and even with a board on Pinterest dedicated to this magical event I could not get started. Nothing spoke to me. The snowflakes I tried to craft more closely resembled something pulled from the hose of a vacuum and the idea of baking cookies ranked alongside getting a root canal. Days turned into weeks, weeks into months and I arrived in July with nothing to offer my Christmas in July guests. I had lost the desire to blog and no imagination to create or decorate. You have reached a dark place when glitter cannot pull you from a slump. Something change last week. I do not recall the moment but there was a turning point. I started having ideas. I thought of blog topics, came up with a way to refresh my kitchen, and the mere suggestion from my husband to move the love seat from our den to our living-room turned into a HGTV series where I was mapping out moving this here, and that there, and oooo a new paint color which turned into a new rug, table, chair, light fixture and I renamed the room – I FREAKING RENAMED THE ROOM! Then I had this insane idea that I could rent my house – weekly in the summers and as a seasonal rental in the winters. That turned into a mental list of what would need to be done 1) new appliances 2) add beds 3) talk to a property manager – all the while still mentally redecorating my den (now aptly named “My Imagination Room” – way cooler than “My Office”, right?). It did not stop – the ideas just kept coming. At one point I thought it would be brilliant to start a YouTube Channel. Why- I have no idea. Not sure what I would do or say, but I swear in the moment it was utter brilliance. I was on idea overload. There it is, the problem with ideas. They seep in. No harm. One or two thoughts pop in and you think to yourself, ah, that is a good idea, or oh, I should try that. You make a mental note to come back to it later. Just as quickly as the idea arrived, it is gone. Not forever mind you. Ideas float around like car inspections and registrations. You know they are there, waiting, they float in and out of your consciousness until the ability to plan for them is gone and BAM – they are upon you. You know what I am talking about. Every year around December 14th you think, I should have (made a scarf for everyone, a Christmas wall hanging, made cards by hand, baked goodies for the neighbors, gone on a sleigh ride or fill in the blank with one of your own) but you didn’t so you will remember for next year. You think of it in June and maybe again for a moment in September when the air turns cool, but you will not think of it again until December, when it is upon you. 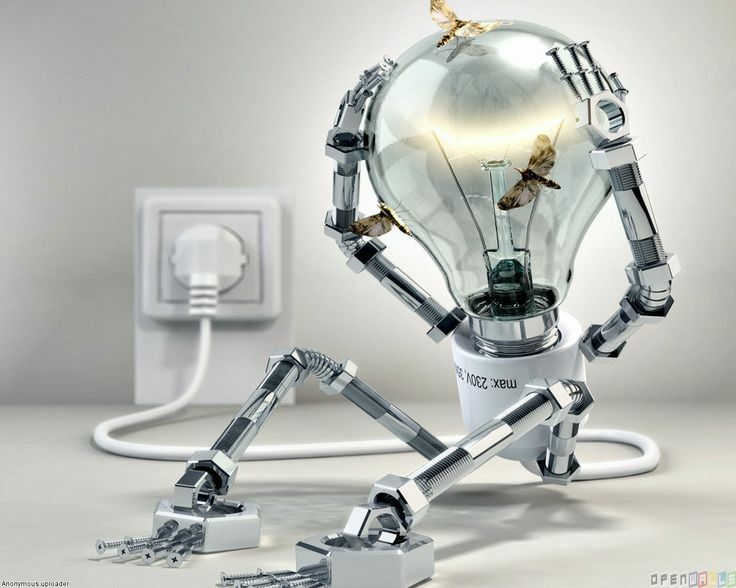 Ideas are problems until they become realized. They clog your mind like old shoes and pre-baby pants stuffed in your closet. They are there reminding you of what you have not done, what you have not seen through and well, they hold you back. To eradicate the problem you must put the ideas in to action. You must get them out of the proverbial closet and decide where they rank and what to do with them. Open a Google Spread sheet (or excel, or open office – I do not discriminate) and started naming the tabs: imagination room, vacation ideas, remodel, weight loss – whatever your ideas or goals are – right down the line. Then as you come up with related ideas pop them in and rank them by level of importance. Weight lifted. It is crazy that I had unknowingly caused myself additional stress with all of these ideas. Putting them in writing took away the subconscious worry that I will forget them, ranking them reminded me what was really important, crossing them off the list gave me a sense of accomplishment and as I have more ideas I can add them. As a student you get assigned countless papers and projects. Last week I was tasked with writing a paper that would explain how to write a job analysis. I am bored with papers so this format is a little less focused on structure and a little more on just sharing the information in a less drab way. If you are now or ever intend to be in a management role, own your own business or be part of the hiring process then this is for you. I hope this entertains and informs you. Start at the beginning. It seems obvious but too often, especially in business, people do not start at the beginning and they end up wasting time. You do not have to hang out at the beginning and loiter and overstay your welcome. Just start there. Make a plan. Move on. So, you want to do a job analysis. This is how I would do it. I am a planner, I make lists, re-write them, type them, sometimes laminate them. Maybe you will not want to get to that place, um, some call “getting OCD”, I like to call it getting organized. I digress, organize how you see fit but here is where to start, or how I would start. I would familiarize myself with why. Why am I doing a job analysis? A good job analysis will direct you, or Human Resources/the hiring manager, to the ideal candidate. A job analysis will help you uncover the type of person you want for a particular role at your organization. A job analysis should uncover what the position requires in terms of soft skills, job knowledge, behaviors, availability and what the organization’s goals are (“Job analysis,” 2013) (Entrepreneur). Okay so now you need to collect this information. Disclaimer – Do not assume you can figure this out on your own. Regardless of your role you should include others in the job analysis. One person cannot fully understand the requirements of every role and the organization’s goals. Note that goals are not the same as a mission or vision statement. Back to me. If I were conducting a job analysis I would set-up a time to sit with (talk to, email etc.) different people within the department [with the vacant position I need to fill]. If it is a large department speaking with everyone would be unrealistic and not a good use of time. I do see the value in speaking with the manager and people doing the job that you want to fill, if possible. A manager will be able to provide you the background on what they need and their wish-list, so to speak. They can provide insight into what their goals for the department are and what the current strengths and weaknesses of the group are. Someone in the role can give you a more accurate picture of what they do everyday, what skills are used, not used, what they wish they had known about the job [before coming on board] and what kind of peer they would like to have. I would recommend having questions ready for when you speak with the department. I would be prepared to set the stage. Let them know you are seeking feedback and that the information they provide will help you to write a more accurate job description [for posting and for the purpose of creating a compensation schedule – I suggest keeping that piece of information to yourself], create interview questions that are tailored for this position and ultimately help you to find the right candidate for the department and the organization. This will help the staff understand what your role is in this, what you hope to gain and ideally create a productive environment. Be prepared to get off topic but refer to your questions and notes to help guide you and keep you on track. Sometimes getting off topic can take you into a valuable conversation but remain in control. Below I have provided a list of questions I would ask if I were performing a job analysis. I would ask them of both the manager and the employees in the department. I dare say, sometimes managers have a different idea of what their people do and it does not always match with the reality of the situation. Best to know upfront. What are the physical requirements of the job (i.e. do you stand/sit for extended periods of time, do you lift or move items on a regular basis etc.)? Are there any extremes in this position (i.e. do you or your people ever work in extreme cold or hot weather, is part or all of the job conducted outside in the elements etc.)? What kind of equipment is used in the job (i.e. register, machinery, is driving required, computer, applicable software etc.)? What skills are required for performing this role (i.e. basic/advanced math, working in a detailed environment, sensitivity to time, face paced, etc.)? What forms of communication are used in your department (i.e. to determine a need for phone etiquette, ability to draft written correspondence, meet with people face-to-face etc.)? What are the hours and potential changes you see in the department (i.e. important to know if the business needs could require a schedule change, work weekends, nights, overnight, holidays etc.)? Is there stress present in this job? How would you describe it? What level of education is required for this job? What skills would you prefer that the candidate possess upon hiring? What level of initiative would one need for this position (i.e. is everything done by the book or are there times when one might need to think on their feet, be creative)? What do you like about your job? If you could recommend two things to change, (about the department/organization) what would they be? Keep in mind not all of the questions will pertain to your business and some will not assist in creating a posting but may come into play in the interview process (Doyle, 2013) (Entrepreneur). If there are departmental vision statements this meeting would be the opportunity to get a copy. They should be reviewed to make sure that the person you seek fits the department and the organization. This individual may tire of a position (insert gasp) but if you sought out a good cultural fit you can find them advancement opportunities in a different role. On the other hand they could just be awesome and be promoted but that will only happen if you make a marriage of the needs of the current role and the needs of the organization. What do you do if there is no mission or vision statements? Do not try and wing it and draft one up. Mission and/or vision statements help to define where a company is and where it wants to go. Mission statements are a whole other “for dummies” topic and should be addressed in a separate setting. In a pinch take time to scribe some values and things that are viewed as important to your organization. Do not expect to knock it out of the park this is just a band-aid but you do need to have an idea of what your company is about. For example, do you or your people invest in the community (i.e. funds, volunteer time etc. ), are you are green company (i.e. recycling, re-purposing, making changes in the office to reduce emissions etc. ), does your organization foster a fun culture, a neighbors-helping-neighbors environment? Put a name to it and use that to complete the analysis. A job analysis can, like most company documents, be living breathing entities. Writing these kinds of things is like parenting. You start with an idea and it works and sounds good but things evolve and you may have to add to it, take from it or at some point start over. When you do go back, revisit your plan and follow the steps. Do not reinvent the wheel . The most important thing is that you have started the process and that is half the battle. Let us recap. Make a plan, involve others in the process while retaining control and do not be afraid to make changes. You are ready. Go forth and hire. *Disclaimer. This is not affiliated, associated, authorized, endorsed by, or in any way officially connected with the “for Dummies” publications. 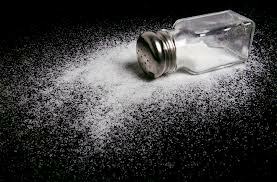 In my younger years I used to harass my parents about their, what I perceived to be, excessive use of salt. They salted everything- steak, tomatoes, potatoes and green-beans. Hell, for all I know they salted the salt. I had learned that salt could lead to hypertension not to mention their food always tasted like a bouillon cube (yes, I have tasted one, and that comparison is probably unfair to the cube). Their food was just gross. Salt ruins food. Fast forward (quite a bit) to being eight months pregnant. I was the size of a Buick and I was craving beef -specifically steak – (which I had sworn off seven years earlier – a blog for another time) and the only way that it could be consumed was off the grill with salt (eeek). I blamed both cravings on the offspring. For nearly 12 years that was the only food I added salt to (less all the baking that calls for salt). Until June 10th. June 10, 2013 I started a clean eating plan. No oils, no carbs, no grains, no dairy and limited fruits and veggies. The first phase of my clean eating was just long enough to rid my body of toxins and all the fantastic (said complete with sarcastic tone AND eye roll) preservatives that are just not necessary for your body. Long story short without all the sauces, marinades and seasonings I was left with just the food. Naked food. Before naked food I actually thought I liked broccoli. For years I ate it raw – alone and in salads and I told people I liked it. Guess what- I like ranch dressing. Broccoli tastes good smothered in ranch. I now know that I do not like broccoli. I actually prefer dirt. Broccoli was not the only thing I was trying again for the first time. If I was going to survive this I knew I had to experiment. I looked up what seasonings were okay to have and it turns out most spices are good to go- even salt. Salt. The very thought of salt brought to mind stark images of a person dehydrating before my eyes – a shriveled pile of skin. There is no rational reason for this imagery, it just was. I thought I would give salt a shot, despite the imagery. A taste could not hurt. I bought sea salt and a grinder. My first experiment was salt on asparagus. Without anyone looking I tried the salted spear. It was magic. A home-run. It was not over powering; it actually complemented the asparagus. Without all the oils, marinades and fillers I was able to enjoy the fresh vegetable and the granulates of salt. A match made in heaven. Had I opened Pandora’s Box; had I been missing out for years? Well, let’s see. I have since added salt to salads, which is spectacular if paired with a sweet vinaigrette, butternut squash (a nice alternative to cinnamon), and tomato soup. Just a dash and guess what? I have not become an addict but I have enjoyed some otherwise so-so foods. I cannot explain why it works or how it makes foods even more enjoyable. It just does. I am not selling you on salt. Instead it made me think that maybe we all need to try something again. You may never enjoy brussel sprouts, but maybe you have a negative association with a certain food and it is time to give it another try. Maybe your great aunt dragged you to the theater when you were nine and a you swore it off; as an adult you may have an appreciation for the arts. Perhaps you went on a family camping trip and before the first nightfall you promised you would never subject your future children to trekking through the woods and bathing in a lake. As we get older we mature, we discover who we are, what we like and what we value. As we get older we have the opportunity to experience new things and new places. Maybe there is room in there to try something, again. What did you think about the video? Not it’s quality (because it is not professional grade), but what did you notice? My first blog post, only a short scroll back, was titled “We, as humans, want to be first. We want to win.”. Do we always want to be first, though? In the video, along with the people around the man dancing, you notice a lone man embracing the music. It would appear as though he loves what he is hearing and was moved to express it through dance. As an observer you might even assume that he does not care what others think of his impromptu dance. What else did you notice? There were people watching him. I would suspect that many thought he looked a little crazy, but then someone joined him, then another and another until people were jumping up and running to be a part of his dance. So, it begs the question, do we always want to be first? Why are we okay with being first in traffic, first in line on black Friday or first to finish a test, but we are not okay with being like this guy? I am not an expert in the human psyche but I would suspect that being able to beat someone to the stop light in traffic is a safe gamble. Maybe we got their first because our car is faster or we are a better driver. If we do not make it or someone beats us, we are in our car, sheltered- there is a getaway – a barrier. If we are first in line on black Friday everyone behind us knows that we are likely to get what we want, and let’s face it, we are in good company. Everyone behind us is there for the same thing. If we are first to finish the test it must be assumed we are the smartest, right? The only person who will know any different is the person grading it. There is little risk involved with these acts. They are, you could say, somewhat calculated. The dancing guy was vulnerable. He took a chance that what he did would be mocked, but he did it anyway and the result was that others eventually shared in his joy. Maybe instead of being first in line, first to own a new gadget (insert game system, music player etc. here) we should try being first at being vulnerable. How many times have we missed an opportunity to speak up at work, say something to a loved one (or a stranger), or take advantage of an opportunity because we were afraid to put ourselves out there? That is all; just a thought for today. If you want to dig a little deeper I urge you to watch the following video. I was introduced to it about two months ago and it has had a profound impact on my life and how I view the world and people’s behaviors. In the video Brene Brown, LMSW and research professor at the University of Houston Graduate College of Social Work, explores shame and vulnerability and her journey to wrapping her arms around such a largely misunderstood concept. I challenge you to watch it and not be affected by it. I take classes at an organizational development Firm in Southern Maine. The subjects covered ranged from conflict resolution, supervisory skills and over the years the classes have morphed in to a series of classes spanning over six months that dig deep in to inspirational leadership and direct management. I received a call from one of the owners of the firm about a week prior to an upcoming class. He asked if I would be interested in coming up with an activity for my group, about eight of my peers. I said yes before he even finished asking but without knowing what I would do. 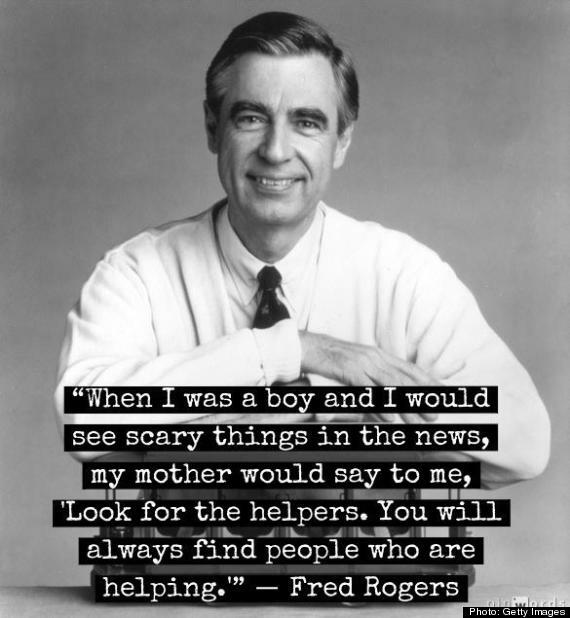 my mother would say to me, ‘Look for the helpers. You will always find people who are helping”. Something clicked. That was it. Every day we hear someone being mocked on radio or television, we find ourselves being irritated with something someone said or did. We wonder how our spouses could be so forgetful or our coworkers so rude. It seems easier to remember the negative, pick on the bad and harder to recall when someone did something nice, spoke kind words or touched us. That was my exercise. I went into my class armed with blank thank-you cards and stamped envelopes. I explained to everyone what I have shared here and how I came across this quote. I went on in greater detail about how most of the time when someone does something nice, takes time out of their busy schedule to talk to us or lend us an ear we sometimes take it for granted and, I believe, more often than not we do not really understand the impact of a person’s kindness until after the moment passes. I tasked my peers to think of a person that did or said something that had an impact on them. I told them it could be big or small. It could be someone that they knew well or someone they had only met once. I asked the group to come up with a person that they would thank, what they would say and share why it had such an impact on them. The stories that were shared were personal and transformational. Some recalled moments from their childhood while another woman talked about how she would thank her mother’s hairdresser. She explained how her mother was diagnosed with Lupus and she could not be with her when she made the decision to cut all her hair off. She said that her mother’s hairdresser gave her confidence and support that she could not. She said she would thank that woman and tell her what her time and words did for her mom. I learned more about my coworkers in that hour than I had in the five years we had worked together. I also learned that there is so much to be thankful for- not just things, but people. It is important to thank and appreciate people. While listening to all of the stories, some funny and others emotional, I thought of two more people that deserved to be thanked for the moment, the time and the impact they had on my life. We enable behaviors every day. This is an opportunity to enable good behaviors and perpetuate them. Take the time to thank someone. Do not wait. Thank them today and make your thank-you personal.